We are still collecting information on the Utah Salt Lake City Mission. If you served in this mission and are willing to share your experiences with us, please contact us at editor@missionhome.com. Salt Lake Temple, Salt Lake City, Utah. The church is very strong in the Utah Salt Lake City Mission (what with the Church headquarters being located in the city). The Bountiful temple is located within the mission boundaries, while the Salt Lake City Temple and Temple Square area lie in the encompassed Utah Salt Lake City Temple Square Mission. Over 65 stakes are located within the mission boundaries, as well as Tongan, Samoan, Chinese, Spanish, and Portuguese wards, branches, and stakes. Like most stateside missions, missionaries will mostly use either cars or bikes in their areas. Designations are generally based on the size of the area and dependant on leadership positions/need to travel. Salt Lake City is a bicycle-friendly city, with many roads also having bike lanes. The city also has an extensive public transportation system that includes a light rail, a bus system, and a commuter train system. While crime levels in the Utah Salt Lake City area are generally rather low when compared to other major metropolitan areas, there are a few areas that suffer from higher crime levels, much of which is associated with gang and drug activity. Pioneer Park in downtown Salt Lake and the Glendale neighborhood in the western part of the city have the reputation of having higher levels of crime than the rest of the city. Even though the LDS church is the dominant religion in the Salt Lake City area, there are still many other groups present. One such example is the yearly Greek Festival, held each September at the Greek Orthodox Church in downtown Salt Lake. Other important events include Pioneer Day, which is celebrated on July 24th. This Utah state holiday remembers the arrival of the pioneers in 1847, and is celebrated with parades, rodeos, and fireworks. While the famed “Utah accent” is less distinct within Salt Lake City itself, there’s still a good chance you’ll hear some people speak in this dialect if you serve in some of the mission’s more rural areas. Examples include the dropping of middle vowels and “t” sounds when used in the middle of a word, and changing certain vowel sounds so that words like “measure” become “mayzhure”, etc. Also of note is that locals generally refer to Salt Lake City simply as “Salt Lake” (they say “the Salt Lake” to refer to the actual lake). 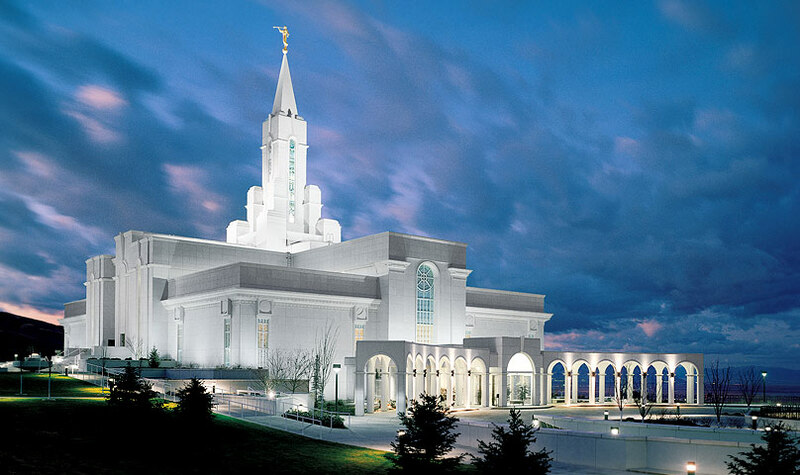 There are plenty of Church-related sites to visit in the Salt Lake City area! The Church Family History Library, Church History Museum, and the Tabernacle are just some of the sites located in the Temple Square area. With other sites in the area such as This is the Place Heritage Park, there is plenty to see and do in Salt Lake City! Climate: Summers are hot and dry, with temperatures generally in the 90s. Winters are cold and snowy (usually November to March). Inversion during the winter time causes thick smog to settle in the area, making the air highly polluted. *What advice would you give to someone going to the Utah Salt Lake City Mission?